In need of a new external hard disk drive? Check this out! 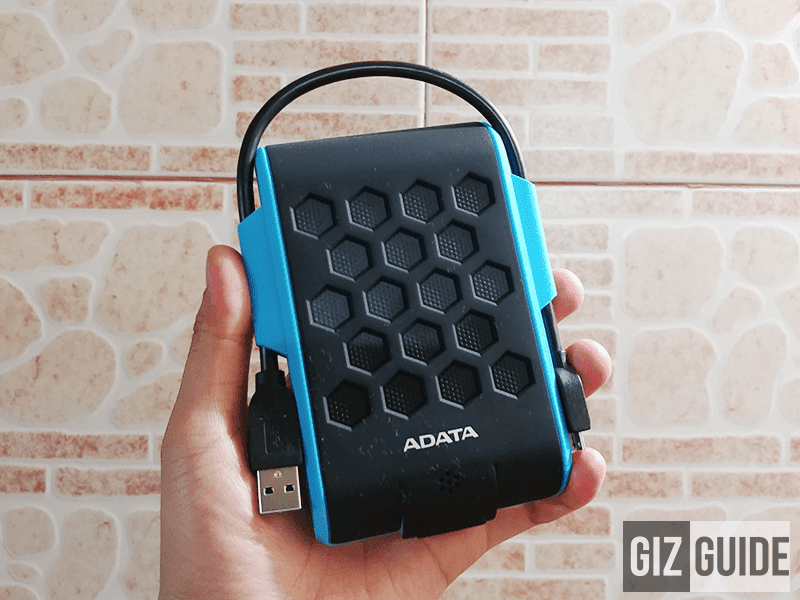 We are giving away the ADATA HD720 1TB external HDD worth around PHP 3K to one of our very lucky reader. To refresh our minds, the ADATA HD720 is an affordable external HDD with 1TB of storage. It sports a rugged design with plastic and silicone rubber material, MIL-STD-810G 516.6, IP68 water and dust resistance, and G-Sensor shock protection that's perfect for clumsy persons. In particular, this HDD is resistant to up to around 6 ft drops, up to 2 meters deep water resistance for up to 120 minutes, and protection against dust. 2. In the comment section, mention why you want to win, then tag then tag as many friends as you can! 3. Submit your entries via Rafflecopter below before July 2, 2017, Sunday. Note: Make sure to follow the instructions diligently and submit your entries on or before the deadline. Good luck everyone!